Histones are basic nuclear proteins that are responsible for the nucleosome structure of the chromosomal fiber in eukaryotes. Nucleosomes consist of approximately 146 bp of DNA wrapped around a histone octamer composed of pairs of each of the four core histones (H2A, H2B, H3, and H4). The chromatin fiber is further compacted through the interaction of a linker histone, H1, with the DNA between the nucleosomes to form higher order chromatin structures. This gene is intronless and encodes a replicationdependent histone that is a member of the histone H3 family. 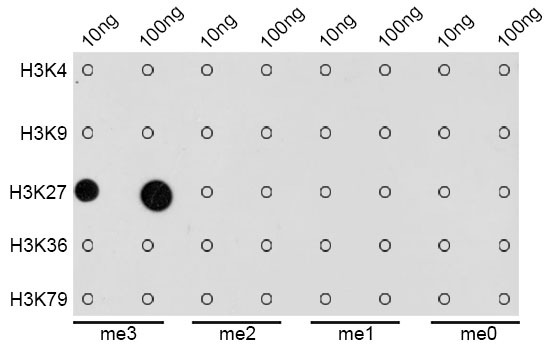 Transcripts from this gene lack polyA tails; instead, they contain a palindromic termination element. This gene is located separately from the other H3 genes that are in the histone gene cluster on chromosome 6p22-p21.3. 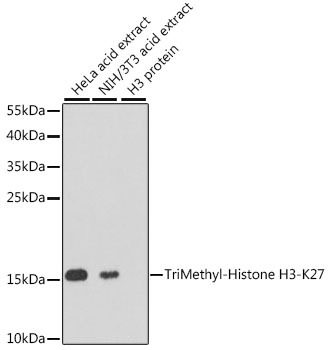 Histone H3K27me3 (H3K27 Trimethyl) Polyclonal Antibody. Unconjugated. Raised in: Rabbit. Colón-Caraballo M et. al. (February 2018). 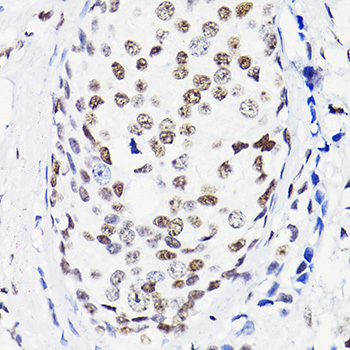 Effects of histone methyltransferase inhibition in endometriosis. Biol Reprod. Warren Vieira et. al. (December 2017). 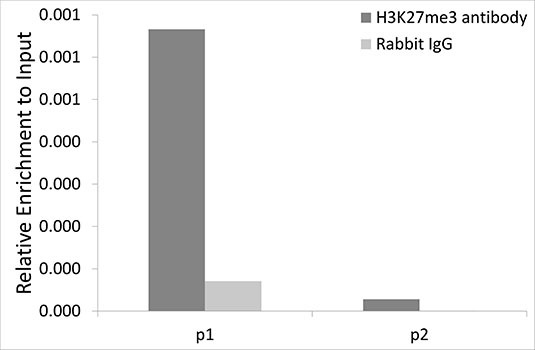 Trimethylation of Histone 3 lysine 27 (H3K27me3) ChIP-PCR and transcriptional expression data of Ef1-alpha, cyp26A, HoxC10, HoxD10 and HoxD11 in the Xenopus XTC cell line Data in Brief. 15:970-974. Cascio S et. al. (December 2017). 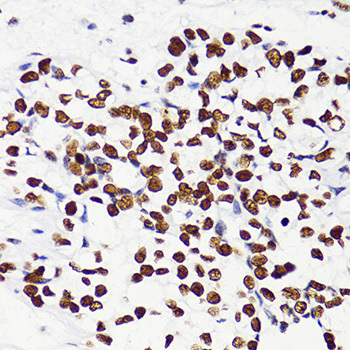 Abnormally glycosylated MUC1 establishes a positive feedback circuit of inflammatory cytokines, mediated by NF-κB p65 and EzH2, in colitis-associated cancer. Oncotarget. 8(62):105284-105298. Xiong Y et. al. (August 2017). Effects of high progesterone level on the day of human chorionic gonadotrophin administration in in vitro fertilization cycles on epigenetic modification of endometrium in the peri-implantation period. Fertil Steril. 108(2):269-276.e1. Yadav R et. al. (February 2017). EZH2 regulates spinal neuroinflammation in rats with neuropathic pain. Neuroscience. Timoshevskiy VA et. al. (June 2016). Cellular and Molecular Features of Developmentally Programmed Genome Rearrangement in a Vertebrate (Sea Lamprey: Petromyzon marinus). PLoS Genet. 12(6):e1006103. Barroso M et. al. (October 2015). S-adenosylhomocysteine induces inflammation through NFkB: A possible role for EZH2 in endothelial cell activation. Biochim Biophys Acta. 1862(1):82-92. Pacini L et. al. (September 2015). Down-regulation of toll-like receptor 9 expression by beta human papillomavirus type 38 and implications for cell cycle control. J Virol. Guo X et. al. (December 2014). Regulation of histone demethylase KDM6B by hypoxia-inducible factor-2α Acta Biochim Biophys Sin (Shanghai). Siouda M et. al. (May 2014). 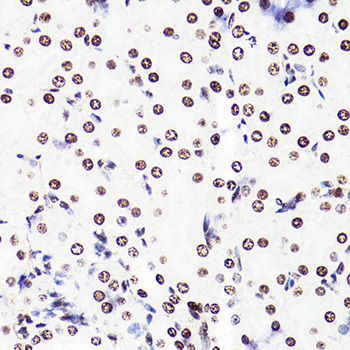 Epstein-Barr virus down-regulates tumor suppressor DOK1 expression. PLoS Pathog. 10(5):e1004125. Guo X et. al. (March 2014). Nicotine induces alteration of H3K27 demethylase UTX in kidney cancer cell. Hum Exp Toxicol. 33(3):264-9. Saidj D et. al. (November 2013). Oncoprotein E7 from beta human papillomavirus 38 induces formation of an inhibitory complex for a subset of p53-regulated promoters. J Virol. 87(22):12139-50. Accardi R et. al. (March 2013). 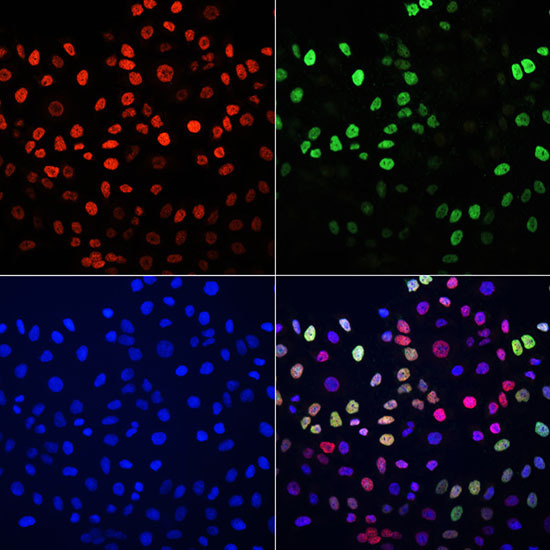 Epstein - Barr virus transforming protein LMP-1 alters B cells gene expression by promoting accumulation of the oncoprotein ΔNp73α. PLoS Pathog. 9(3):e1003186. Siouda M et. al. (December 2012). 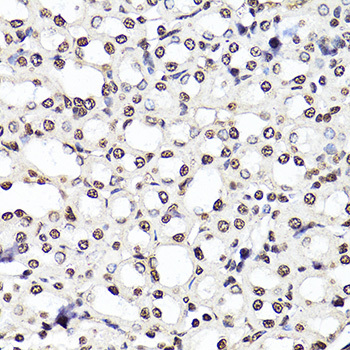 Transcriptional regulation of the human tumor suppressor DOK1 by E2F1. Mol Cell Biol. 32(23):4877-90. Shen Y et. al. (October 2012). 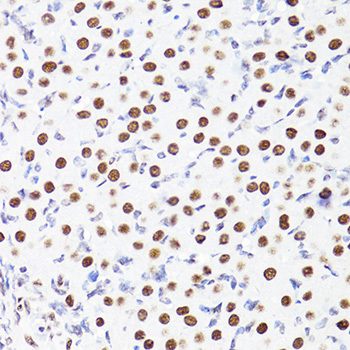 Expression and significance of histone H3K27 demethylases in renal cell carcinoma. BMC Cancer. 12:470. Ding YB et. al. (September 2012). 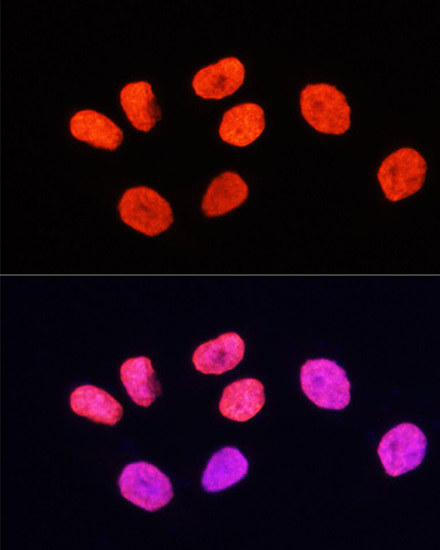 5-aza-2'-deoxycytidine leads to reduced embryo implantation and reduced expression of DNA methyltransferases and essential endometrial genes. PLoS One. 7(9):e45364. Ramming A et. al. (May 2012). 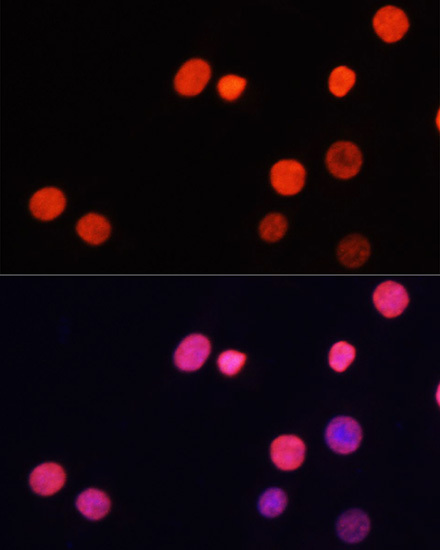 Maturation-related histone modifications in the PU.1 promoter regulate Th9-cell development. Blood. 119(20):4665-74.